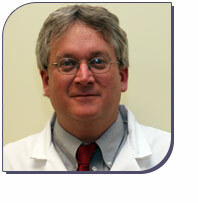 Dr. Daniel T. Carmichael is the first and only board-certified veterinary dentist on Long Island. Dr. Carmichael graduated from the Cornell University Veterinary College—the same University where his world-renowned father, Dr. L.E. Carmichael, discovered the vaccination for Canine Parvovirus. Dr. Carmichael later became a Fellow of the Academy of Veterinary Dentistry, and after completing a six-year residency, received his Board Certification in The American Veterinary Dental College. For the six years prior to his arriving on Long Island, Dr. Carmichael had been head of the Dentistry Service at the Animal Medical Center located in Manhattan. He has done numerous television and radio interviews, and has lectured on veterinary dentistry extensively. Dr. Carmichael and his family live on the South Shore of Long Island.